Gwyneth Paltrow is adding theatre producer to her resume after announcing she's backing an upcoming Broadway tribute to girl group The Go-Go's. The Oscar winner will co-produce Head Over Heels with Rick Ferrari and Donovan Leitch, among others. The production will feature The Go-Go’s hits We Got the Beat, Vacation, and Our Lips Are Sealed, as well as singer Belinda Carlisle's solo hits Mad About You and Heaven is a Place on Earth, according to Deadline. Carlisle and her bandmates Charlotte Caffey, Gina Schock, Jane Wiedlin, and Kathy Valentine announced the news via a statement on Tuesday (December 12), which reads: "If you told us 30 years ago that our songs were going to be in a musical, we'd have said, 'Of course they'll be on Broadway!' None of us would have really believed it though. What a crazy idea! "Yet here we are, with Head Over Heels - a celebration of love in all its forms, joyful, fun and full of heart, driven by the songs that for decades have been making people jump from their seats and dance." 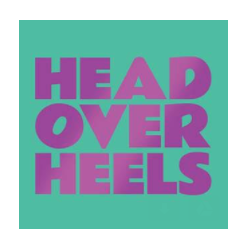 The world premiere of Head Over Heels took place at the Oregon Shakespeare Festival in 2016. The show will complete its pre-Broadway run at the Curran Theater in San Francisco in the spring. Tony Award winner Michael Mayer will direct the show's Broadway stint. Theatre, casting and dates will be announced in the coming weeks. The show is based on James Shirley's dramatization of Sir Philip Sidney's 17th century romance, The Countess of Pembroke's Arcadia.